This month saw the charity’s student bursary panel make 12 awards of up to £5,000 to deserving pharmacy students from across the country. In total 66 applications were received from 3rd year students at 17 universities, due to enter their final year of study in September. Including the schemes pilot in 2014, Pharmacist Support has awarded over £50,000 to pharmacy students facing financial hardship who have demonstrated outstanding and exceptional qualities to overcome an ongoing adversity and maintain sound academic performance. One of our 2015 recipients, Karlie Williams, shares her story on how the bursary has impacted her life. Karlie is currently in the final year of her MPharm degree at Cardiff University. Since an early age, Karlie has been passionate about helping people and has worked hard to pursue her dreams of working in healthcare and becoming a pharmacist. 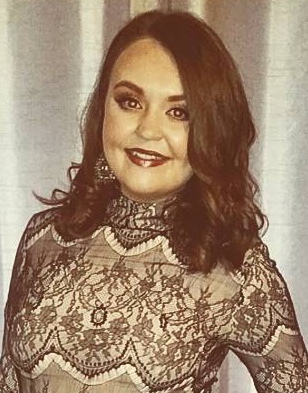 Upon completing her second year of study Karlie was due to undertake a three month summer pharmacy placement abroad, but unfortunately following the unexpected death of her father was forced to cancel her plans. With both parents having passed away, Karlie and her sister now share caring responsibilities for their elder brother who suffered brain damage as a result of an accident as a child. Despite this additional responsibility, Karlie has continued to excel in her degree and staff at the university speak highly of her commitment and work ethic. “The bursary has enabled me to focus on my studies more, rather than financial worries. It has helped me relax about that area of my life in order to concentrate on university and my life outside university. I was able to undertake several unpaid pharmacy placements during the summer to improve my career prospects which wouldn’t have been possible without the knowledge that the bursary would help me pay back money borrowed from family members for the travel and accommodation costs. I feel that it has really changed my final year in university for the better. I have secured a pre-registration training placement at Royal Glamorgan Hospital in South Wales and I’m really looking forward to it. Before I start my pre-reg year I want to undertake a pharmacy placement abroad, perhaps to the Philippines, which I hope will broaden my understanding on how pharmacists work in challenging settings. I hope this experience will aid me in becoming an understanding and empathetic pharmacist in the future. Ultimately I hope I can pass the pre-registration year and move on to the clinical diploma.